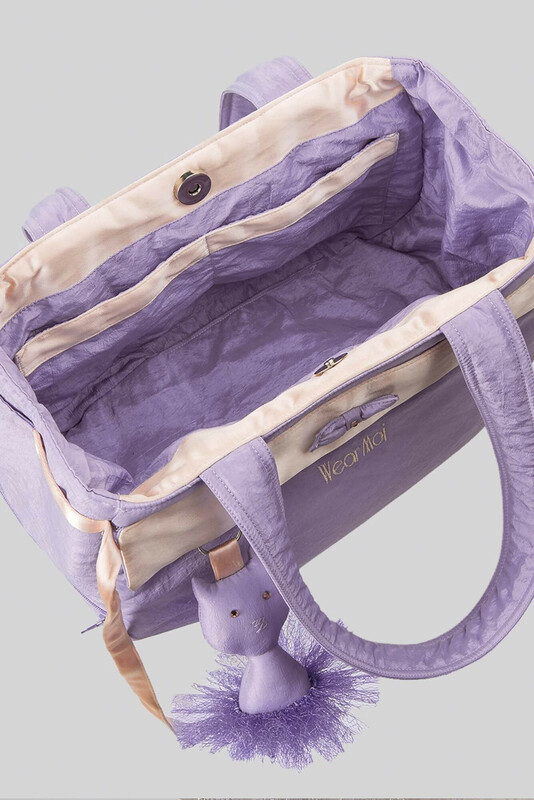 Taffeta and satin create this adorable children’s handbag. Comes complete with a magnet closure and two pockets on the interior, a zip pocket on the front and a shoe compartment. Free keychain attached.